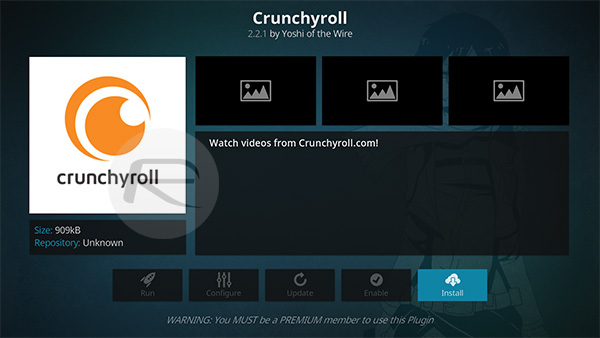 Is Crunchyroll Kodi addon not working for you? Here’s how you can install it in 2017 on version 17 Krypton the right way. This is hardware agnostic, and will work on any Kodi 17 installation regardless of the device it is installed on. 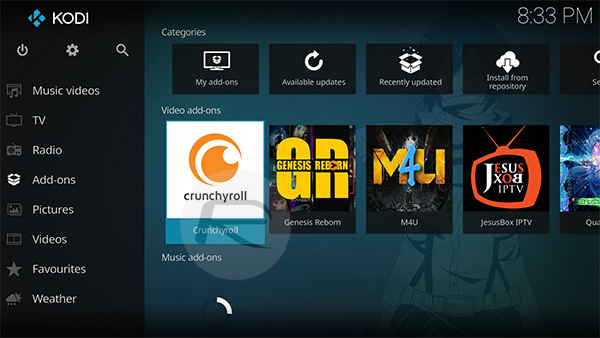 If you are a huge fan of anime, and regularly use streaming sites or services, such as Crunchyroll on the web to view and consume that content, then you will definitely want to consider getting the official video add-on installed on your Kodi instance. It not only offers a higher frame rate than streaming via the website, but also has support for English subtitles which allows you to watch the anime as intended with Japanese voice acting. Carry on reading to get it installed. Step 1: Load up the Kodi installation on whatever device you have it running on. Select the System settings option and then head into the Add-ons section. Step 2: Inside of the Add-ons section, you will find an option called Unknown sources. This is vital to the rest of the walkthrough experience so make sure that the toggle next to this is switched into the On position. Step 1: From the Kodi home screen select the Add-ons option. When inside of Add-ons select the Install from repository button. Step 2: Select the Kodi add-on repository option and then choose the Video add-ons option. Step 3: In that list of provided add-ons, you should be able to scroll through and find the Crunchyroll option listed. Select it to continue and view additional information about it. Step 4: Select the Install option from that information page. This will instantly invoke the install process for that particular video add-on. Step 5: Once the install has been successful, you can then head back to the Kodi home screen, select the Videos option, and select Add-ons. 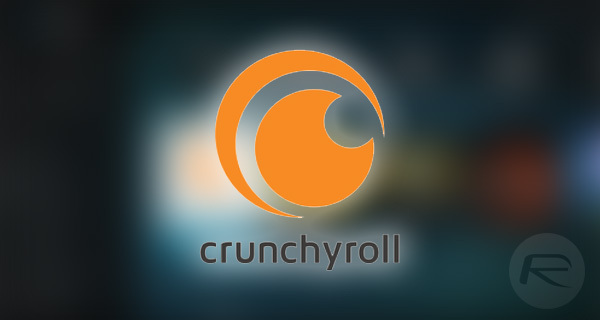 Inside of that directory, you will be able to locate the Crunchyroll icon and launch the add-on in order to use it. You do need to be aware that this is an official video add-on for the Crunchyroll, and, as such, a premium account in order to access that particular service is required. Anyone installing this particular add-on will need to have those valid account details in order to progress passed the authentication page and access the underlying content.